The “Shalit shirt” is now selling like hotcakes in Gaza. Yes, we’re talking about that adorable little button-down with the black wings and super-stylish collar. So take note: Hamas is not just a terrorist organization, but a true trendsetter in the great, wide world of fashion. Loathe to miss a fashion beat, we here at NewsyJewsy got an exclusive look at their Spring 2012 line, called BOMBERBABY by HAMAS. This elegant collection is bound to be a quick hit right off the runways, as it pairs hot new trends with practical features every terrorist needs. 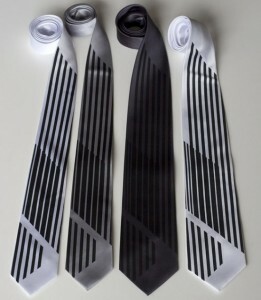 Directly inspired by the now famous “Shalit shirt,” these gorgeous ties are the epitome of high fashion and great style. Get ready, because Hamas will be discounting these beauties at Gaza Fashion Week to benefit their new non-profit, Guns4Kids. We caught a senior Hamas official wearing this black and white pullover to an elegant evening at the glitzy Rocket Factory. This piece is inspired by the animal in all of them. 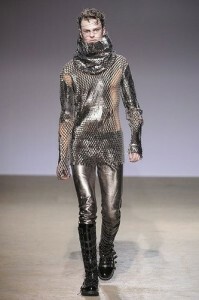 This knight-in-shining-armor is a nod to the great medieval period, when Islam ruled much of the world. With its touch of militant flair and smart pizazz, any Hamas terrorist will look great sporting this piece. 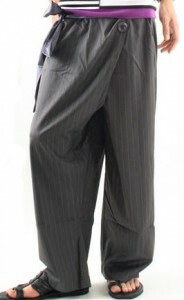 Made in Japan with hand-dyed cotton, this exquisite pair of pantaloons was inspired by the underwear bomber. It’s fully lined and conceals most types of explosives. Drawing the green hue from its own beautiful flag, Hamas paired a cute Nazi jacket with Middle Eastern sandals. With its elegant silhouette, this ensemble exudes pride in Hamas. With its mocking nod to Western business attire, this outfit is the perfect choice for the suicide bomber. The suit passes muster at security checkpoints, and the trendsetting bag holds up to 50 lb. For HAMAS’ debut, it’s a truly impressive collection. The BOMBERBABY by HAMAS is due in stores at the end of December. But for the Gazan comsumer, it can’t come soon enough. Stay tuned as we track this hot new designer and gear up for Fall 2012! 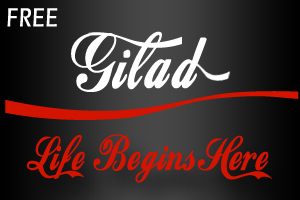 May Gilad enjoy the full life he has set before him and continue to represent freedom and democracy, the strength of the human spirit, and the pride of Israel. 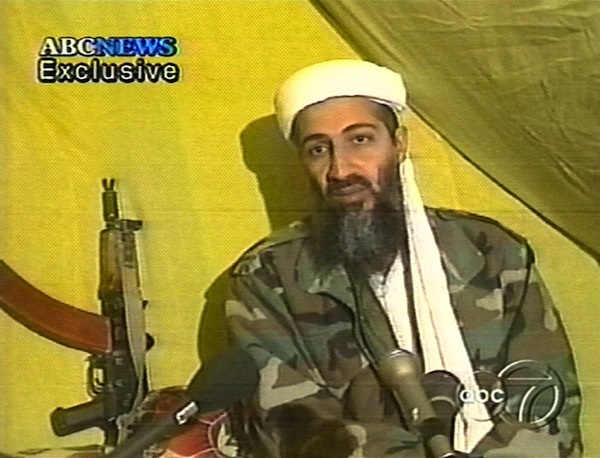 It’s ironic that the story of Bin Laden’s death was first broken on Twitter—especially since he was such a social media loser. He was literally “living in a cave” for years. He started a profile on Facebook, but there was no way to input more than one wife. His grandkids tried to get him on skype, but they could never verify with 100% certainty that it was really his voice. He gave up Twitter when he found out the 72 virgins who were following him were fake. He couldn’t figure out how to use Foursquare (Darn!). He wanted a smartphone—but his parents said he’d have to earn it by getting a real job. He tried playing Farmville, but then he realized HE was the animal. He tried a blog, but he forgot the password, and someone burned it with the trash. With that beard, who would have dated him on e-harmony anyway?